PHNOM PENH: Cambodia’s prime minister on Saturday accused the US government of being dishonest in its announced suspension of aid to the Southeast Asian nation, saying Cambodia had already stopped receiving aid from Washington in 2016. The White House said on Tuesday it was suspending or curtailing several Treasury, USAID and military assistance programs that support Cambodia’s military, taxation department and local authorities – all of which, it said, shared blame for recent political instability. In his first public comments since the announced aid suspension, Prime Minister Hun Sen accused US Ambassador to Cambodia William Heidt of lying, saying aid cuts to Cambodia’s tax department were made in 2016. “We, the 16 million people, didn’t receive American aid in the tax sector. This aid was already finished in 2016,” Hun Sen said in a speech to thousands of garment workers in the southern province of Preah Sihanouk. The US Embassy in Phnom Penh declined to comment. The White House decision comes amid an ongoing crackdown by the government and its allies against critics of Hun Sen ahead of a July general election. The crackdown has targeted some non-governmental organisations, independent media and opposition lawmakers. 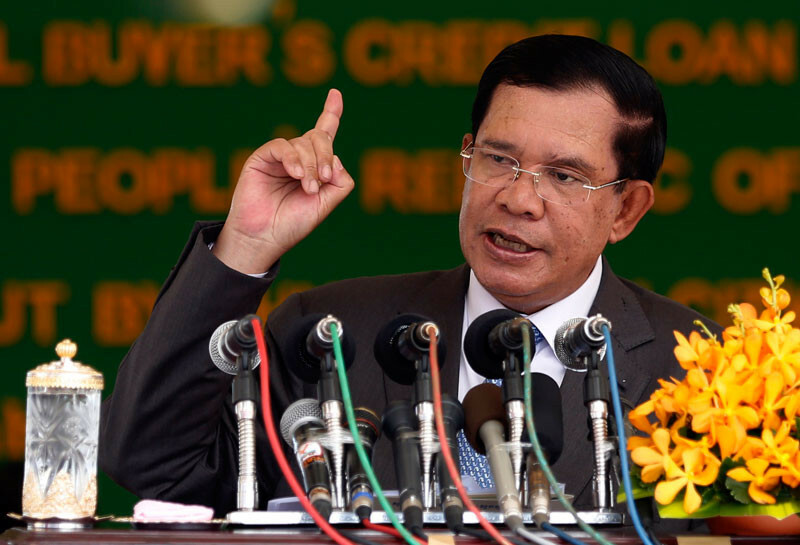 In November, the main opposition Cambodia National Rescue Party (CNRP) was dissolved by the Supreme Court at the request of Hun Sen’s government. Earlier, the English-language Cambodia Daily – one of the country’s few independent print media outlets, was forced to close over an allegedly unpaid tax bill. Hun Sen, a close ally of China, has frequently publicly criticised the United States, particularly for dropping bombs on Cambodia during the Vietnam War, which ended in 1975. Hun Sen, who has ruled Cambodia for 33 years, has accused CNRP opposition leader Kem Sokha, who was arrested and jailed last year, of conspiring with the United States to overthrow him. Rights groups and Western nations have decried the crackdown on the opposition ahead of the July 29 vote. The White House said that Washington had spent more than $1 billion in support for Cambodia and that assistance in health, agriculture and mine-clearing will continue.